When the herbicide dicamba drifts into adjacent fields, it may delay and reduce flowering of the plants there—and result in fewer visits by honey bees. “Because of the challenge of glyphosate-resistant weeds, new types of transgenic crops that are resistant to synthetic-auxin herbicides including dicamba and 2,4-D will be widely planted in coming growing seasons, raising concerns about damage from these drift-prone herbicides,” says John Tooker, associate professor of entomology at Penn State. 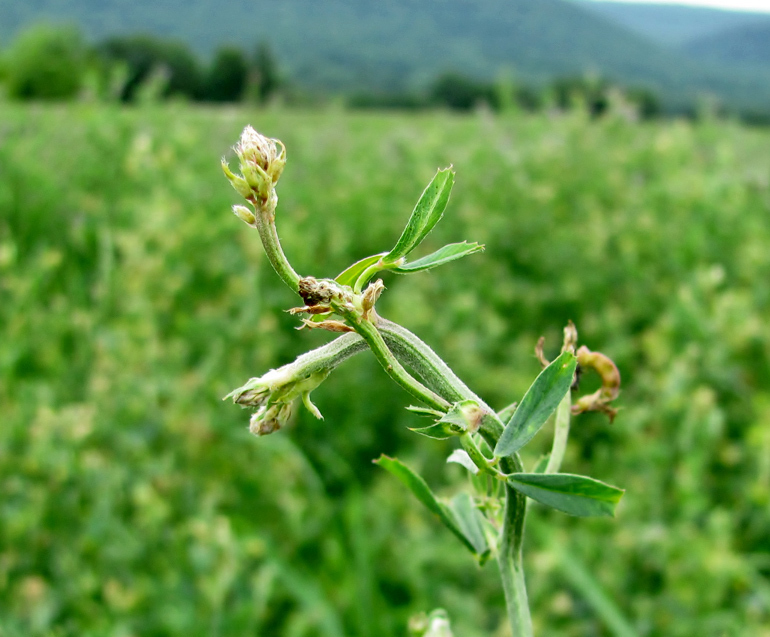 The team examined the crop species alfalfa (Medicago sativa), which requires insect pollination to produce seeds, and the native plant species common boneset (Eupatorium perfoliatum), which is highly attractive to a wide range of pollinator species. The researchers applied a range of sub-lethal doses of dicamba to the plants, then tracked flowering and floral visitation by insect species. They identified the types of insects visiting the flowers and analyzed pollen quality to determine if herbicide exposure altered pollen quality. The scientists found that exposure to drift-level doses of herbicide reduced flowering in both plant species. In addition, herbicide-damaged common boneset experienced significantly reduced visitation by insect species, including honeybees (pollinators) and syrphid flies (natural enemies). The results will appear in the journal Environmental Toxicology. According to David Mortensen, professor of weed and applied plant ecology at Penn State, synthetic-auxin herbicides are usually used early in the growing season, but with the new transgenic crop varieties coming on the market, these herbicides will be used later when temperatures are warmer and more plant species are leafed out. Two US Environmental Protection Agency “Science to Achieve Results” fellowships supported this research.